Follow Wild Wings’ Facebook page and keep up on what's happening in the store and out in the wild! We post local bird and wildlife information, local wildlife photos, up-coming bird walks, store events and other subjects of interest. We keep everyone informed on store and wildlife happenings with our email newsletter. Our binoculars are on the pulse of bird arrivals and departures and we let people know what species to watch for. 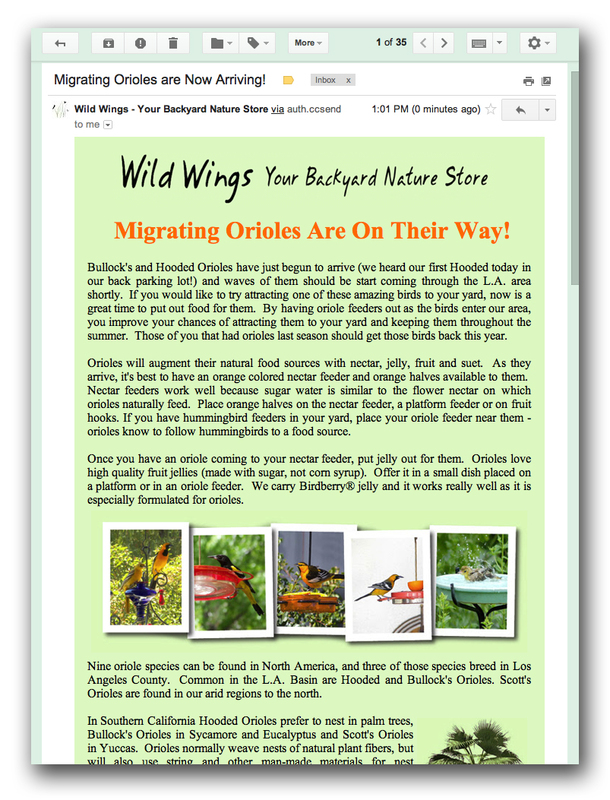 We also use the newsletter to announce bird walks and events. Click on the button below to add your email address. Checkout our flickr page used for posting Wild Wings documentation photos of rare, unusual or interesting bird sightings in Los Angeles County. Check out what people are saying on Yelp – you’ll know what to expect before you come into the store!